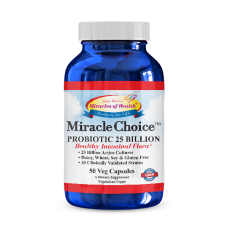 Miracle Choice PROBIOTIC 25 BILLION daily maintenance probiotic formula that supports digestive health. 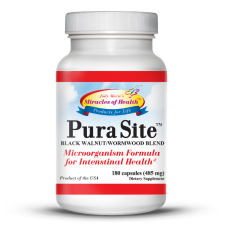 It has a balanced spectrum of live organisms containing acid-resistant probiotic bacterial strains known to support a healthy functioning immune system and to naturally colonize the human GI tract. Miracle Choice Multi-Vitamin & Minerals is an incredible nourishing innovation which emulates nature’s wholesome goodness with a powerful blend of nutrients. 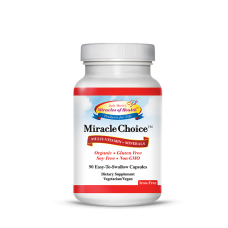 With its revitalizing, energy-boosting ingredients, Miracle Choice is exclusively formulated to deliver every vitamin your body requires to thrive and regenerate. Minerals play a major role in protecting, nourishing, and detoxing cells. 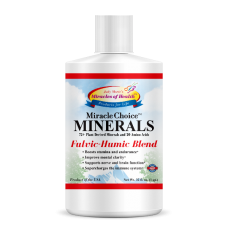 Chelated Minerals offers superior nutrient absorption to support natural levels of energy, cellular protection and rejuvenation with the might of fulvic acid. Fulvic acid acts like a cellular taxi, aiding assimilation of other nutrients so you feel better, smarter and more energized. Rejuvenate Living Cells through Calcium Management. Silica is involved in collagen formation and calcium management. 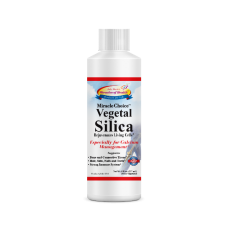 Miracle Choice Vegetal Silica is the solution for symptoms of calcium depletion and proper calcium storage. Major calcium benefits are best derived from Silica. Silica is found abundantly in hair, skin, nails, the aorta, connective tissue and throughout the skeletal structure. By using Miracle Choice Vegetal Silica, you are able to obtain the most usable calcium for your body that will ultimately improve your quality of life. 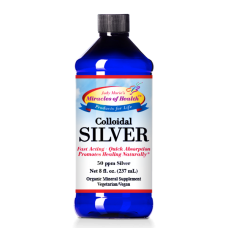 Our Organic Colloidal Silver is a pure, all-natural clear liquid consisting of our Organic Chelated Minerals and submicroscopic nano-particles of 99.99% pure silver. To enhance the effectiveness of our Colloidal Silver, we used a base of our Chelated Minerals, which contains 74+ organic plant-based minerals and 20 essential amino acids, compared to a water base. The Chelated Mineral base readily transports the Colloidal Silver as well as additional vitamins and supplements you are consuming for quick absorptions. Our Minerals, Colloidal Silver and Silica tonic energizes the immune system. 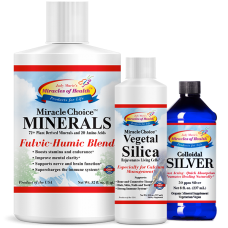 Our Minerals readily transport the Colloidal Silver and Silica as well as additional vitamins and supplements you are consuming for quick absorption and faster recovery from illness. 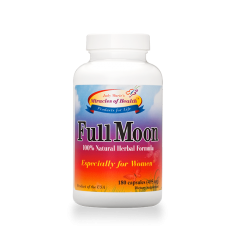 Bundle Includes: 1 Chelated Minerals -32 oz, 1 Colloidal Silver -8oz, and 1 Vegetal Silica -8oz.